The government of Iran on Sunday launched the Mehr.ir Web site, the country’s homegrown flavor of a user-generated video content site. The site aims to spread the influence of Islamic and Iranian culture throughout the Persian-speaking world. Mehr’s debut comes after years of the Iranian government blocking its population off from many YouTube videos. It also comes after Iran recently expressed its intent to create a domestic Internet network, cutting off access to the international Web at large (not to mention many of Google’s existing apps, like Gmail and Search). 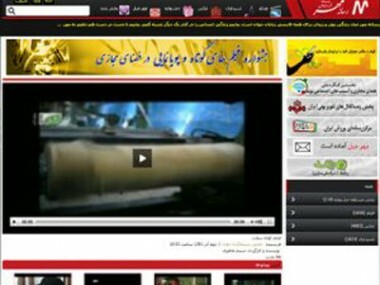 Iran aims to make the Mehr network completely without any anti-Islamic videos, such as the anti-Mohammad film created by an American filmmaker that surfaced months ago on YouTube. The video incited rioting in the Muslim world, and was eventually censored in Iran, Egypt and a number of other predominantly Muslim countries by Google.